If the power in your office fails tonight and all of your computers crash, how quickly can you recover? And more importantly, at what cost? According to the U.S. Department of Labor 93% of companies that experience a disaster go out of business within 5 years – even if they can recover in the short term. 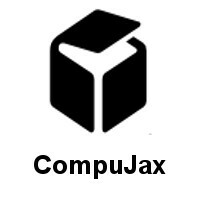 CompuJax’s business continuity solution includes features like continuous data protection, cloud-based replication and recovery, and more – all for one low fixed monthly price per protected server. Having a backup appliance in place is only the first step in a successful business continuity strategy. To minimize the risk of data loss as much as possible, you’ll want to have technicians pro-actively monitoring the entire backup process to ensure things are working as expected.